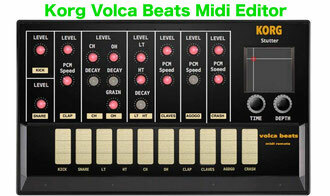 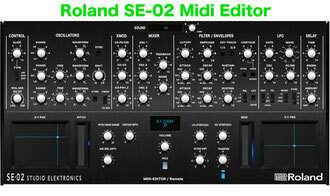 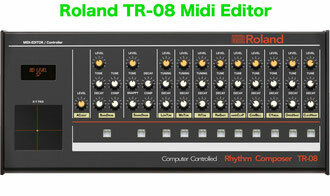 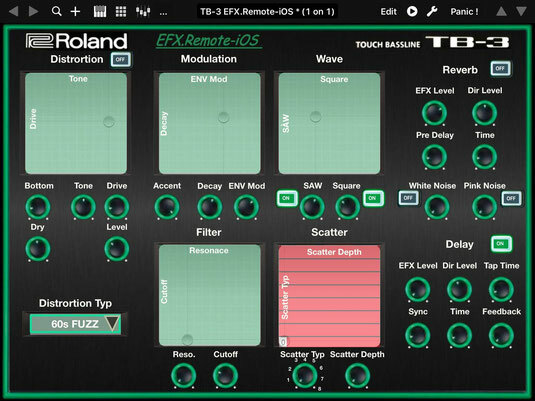 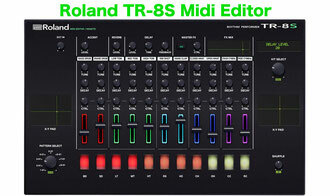 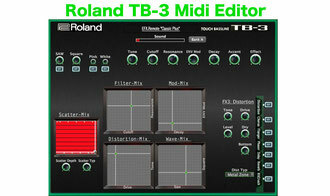 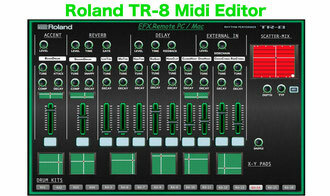 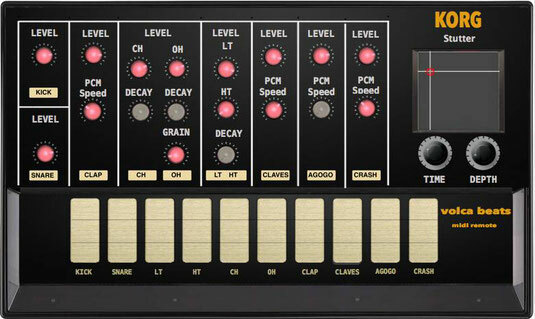 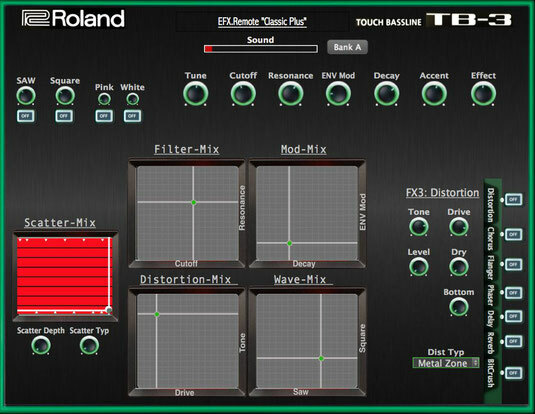 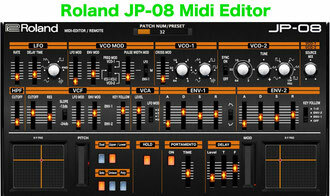 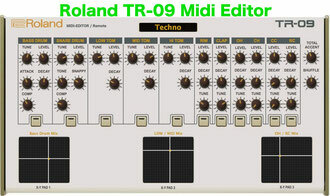 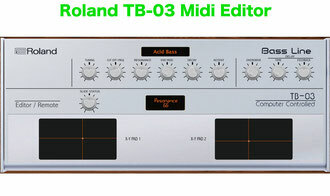 Roland TR-8 Midi Editor/ VST - tb-8efxremotes Webseite! 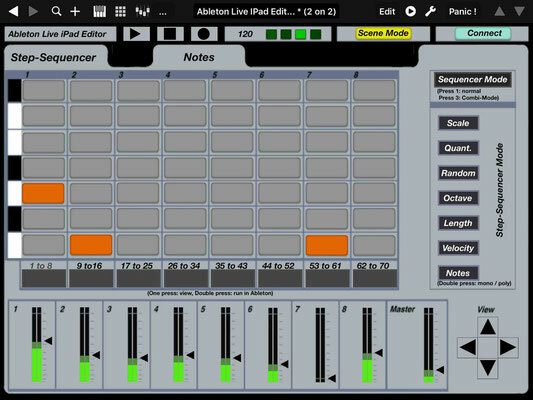 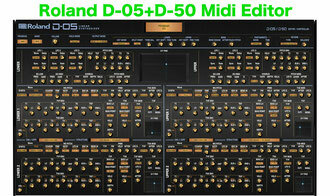 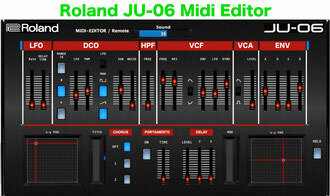 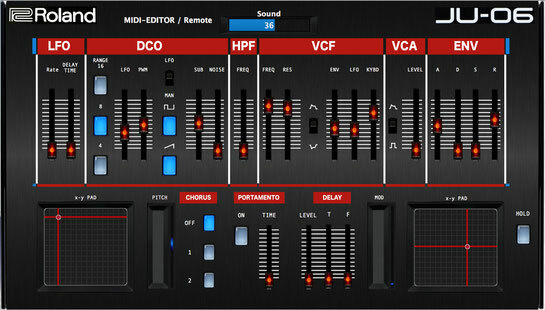 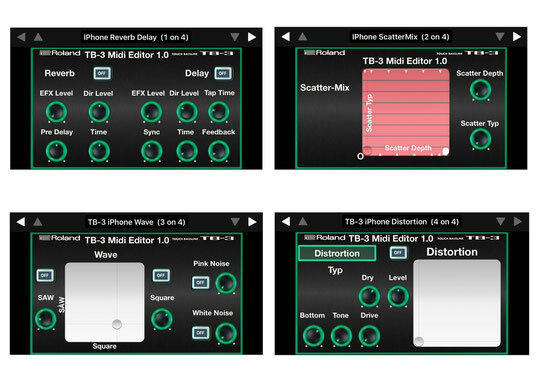 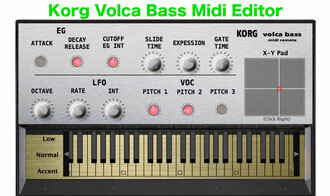 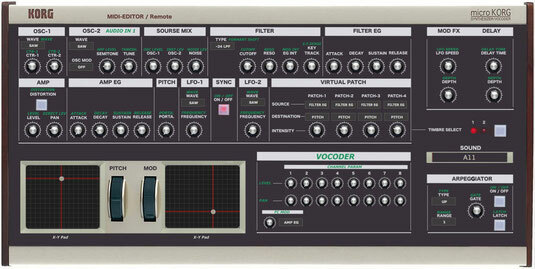 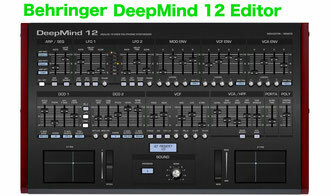 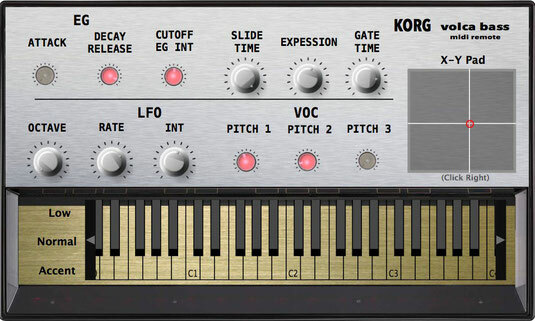 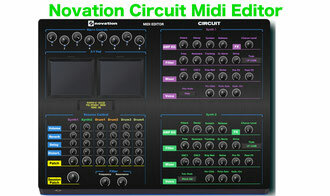 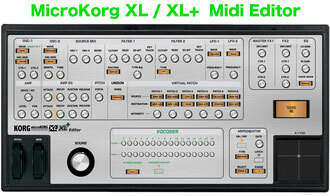 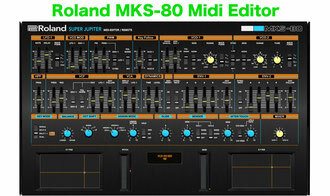 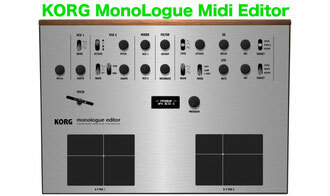 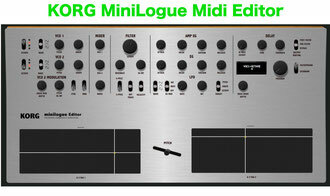 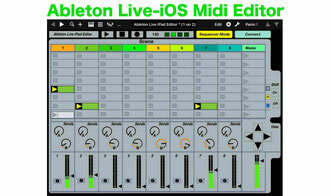 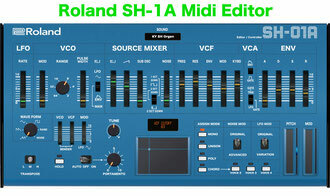 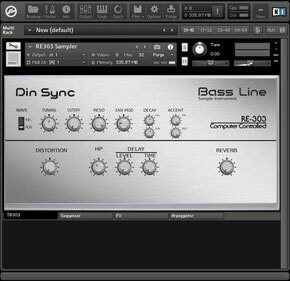 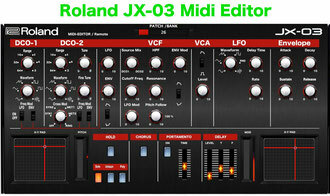 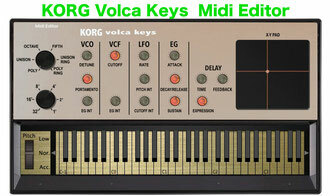 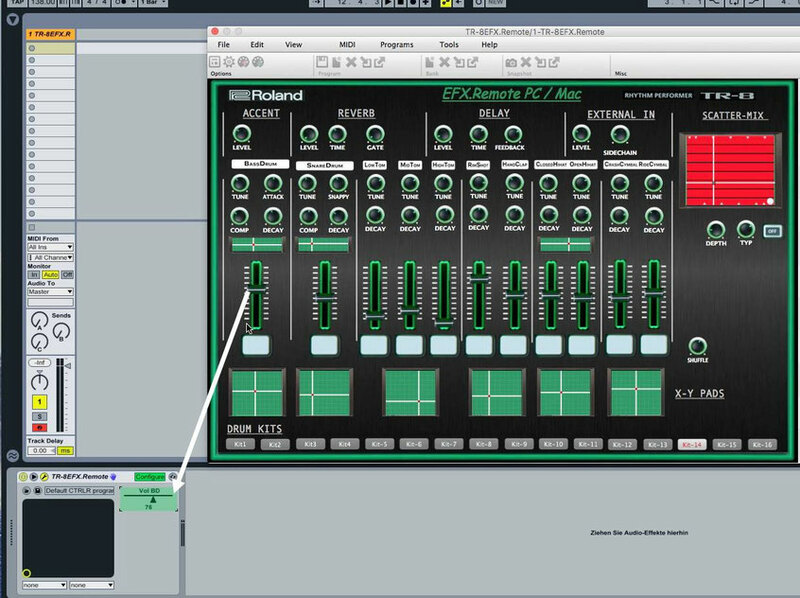 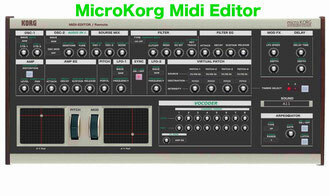 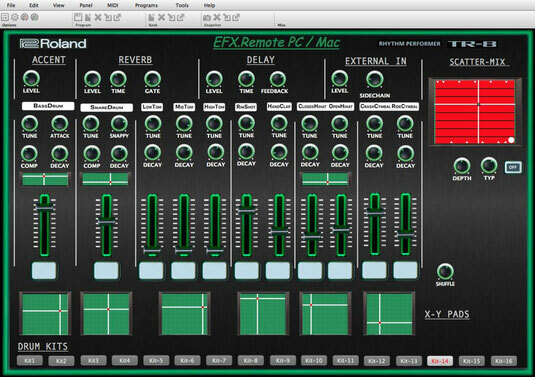 - It is possible as VST and Standalone for PC 32/64 Bit and Mac as VST, AU and Standalone. 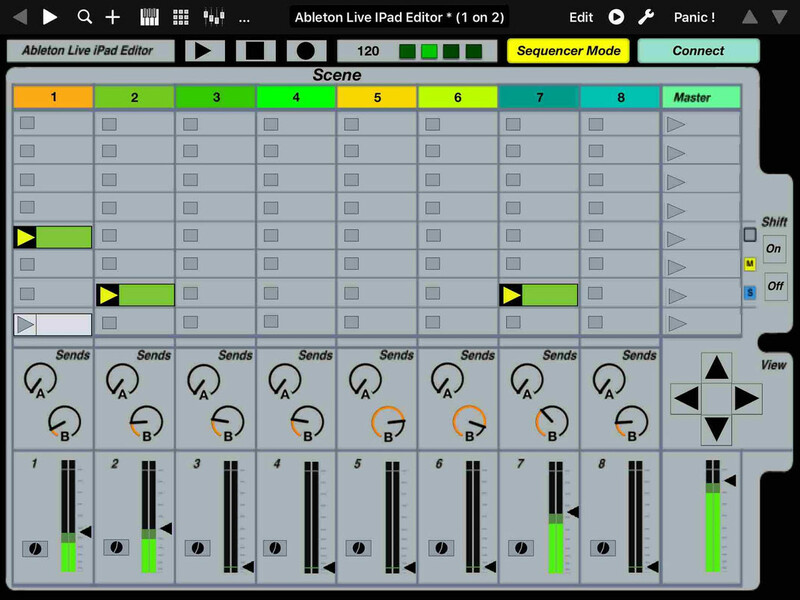 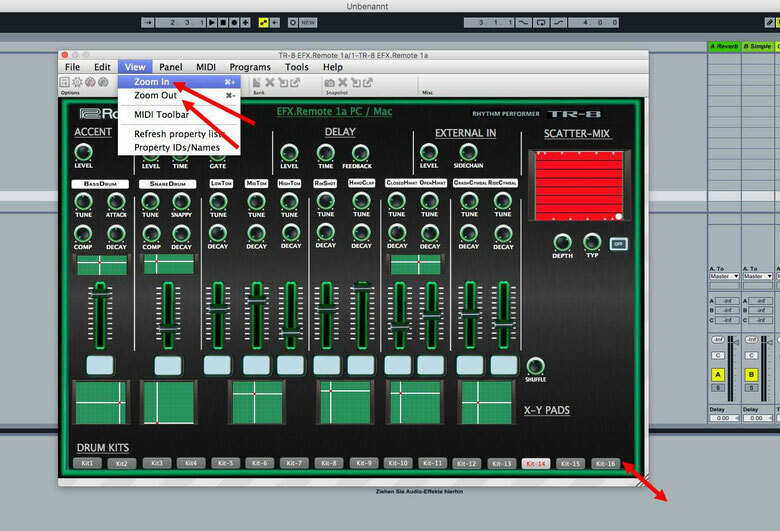 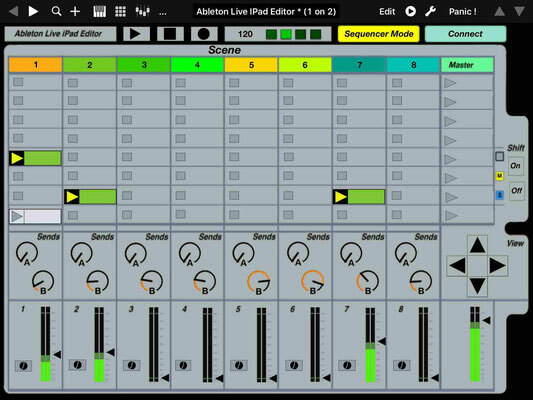 It is possible, for example in Ableton Live, to send the PlugIn-Presets to the TR-8 when the song starts! 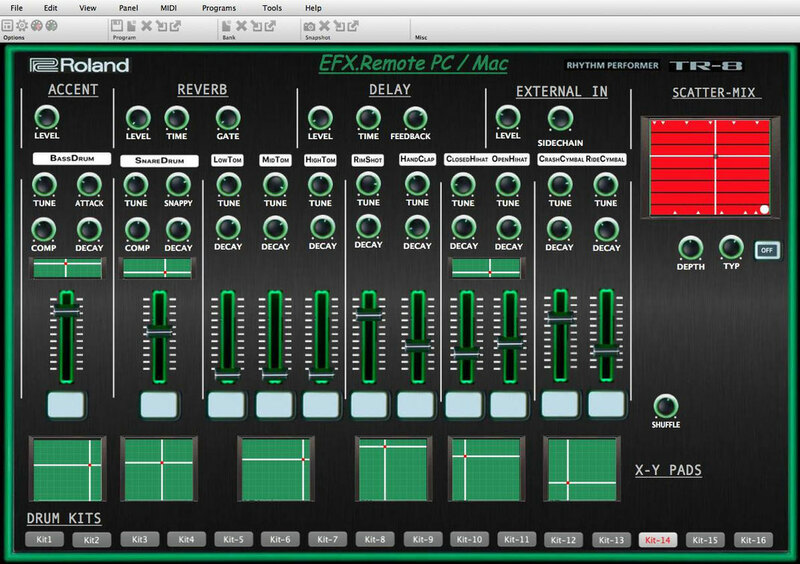 All EFX.Remote-VST PlugIn with variable element size. 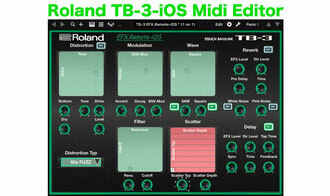 Midi Editor "TB-3 EFX.Remote PC/MAC"
Midi Editor "TB-3 EFX.Remote iPad"
Midi Editor "Korg Volca Bass PC/MAC"
Midi Editor "Korg Volca Beats PC/MAC"